Two Free Dental Exams per year/ including x-rays. Two Free Cleanings per year. Eligibility: Anybody who does not have dental coverage through an insurance or another discount plan is eligible to apply for our savings plan. The annual membership fee can be discounted for family memberships. We offer this discount to our normal office fees in an attempt to address the disparities we see in dental health care coverage. Regular visits to the dentist is key to preventing serious health issues from developing. To learn more please contact us. You can also call our office at (410) 674-3400 or visit us at 8381 Piney Orchard Pkwy, Odenton, MD 21113. 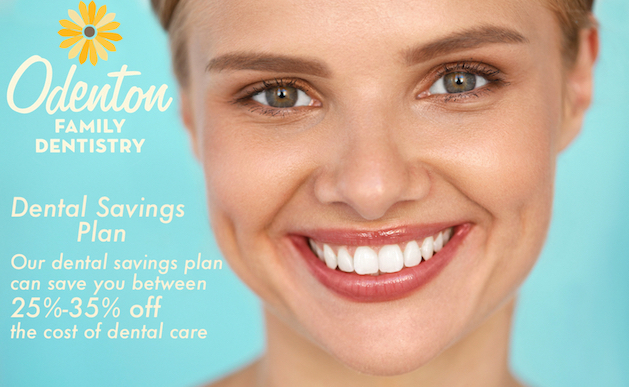 Please note that our savings plan is not an insurance program, and is only valid at Odenton Family Dentistry. Additional limitations and exclusions apply. Please contact us for details.